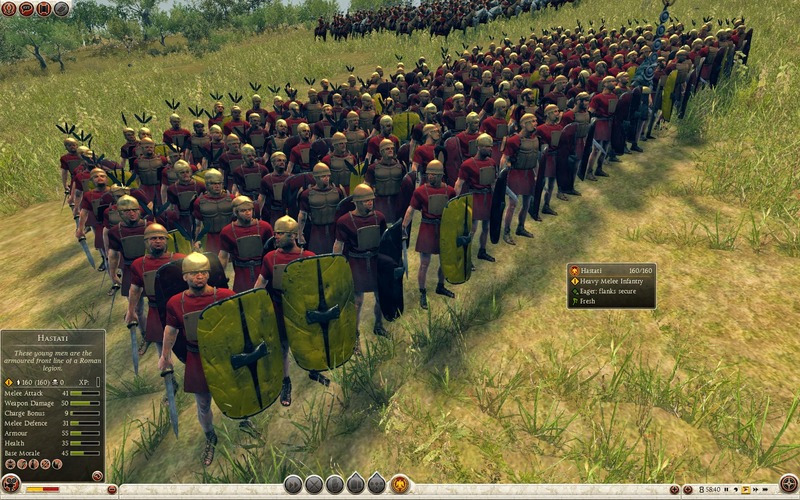 These young men are the armoured front line of a Roman Legion. 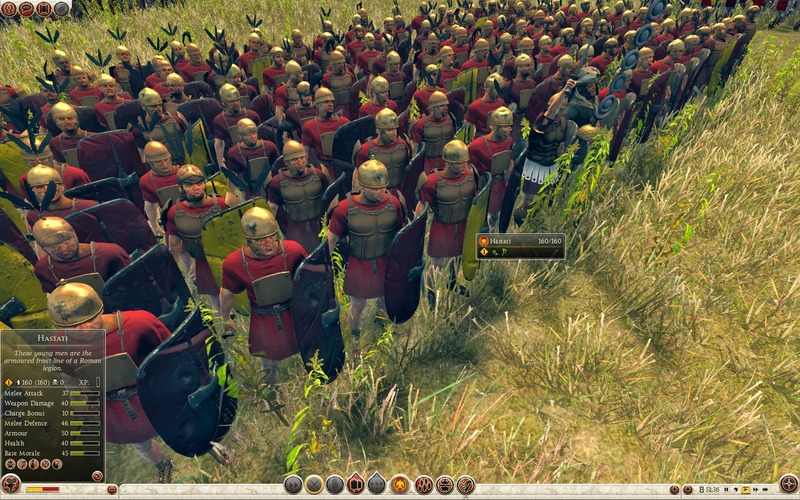 During the 4th century BC the Romans abandoned the phalanx in favour of armies consisting chiefly of hastati, principes and triarii. These were deployed in maniples: compact blocks of men, arranged in a checkerboard formation. This allowed flexibility when moving across the battlefield, particularly when compared to the sluggish movements of a solid pike phalanx. Like most sophisticated city-states of the ancient world, Rome expected its men to fight, and supply their own war gear when they did so. A cynical observer might be tempted to note that the manipular Legion also made sure that the hierarchy of Rome was preserved. The youngest and least wealthy became hastati, the first line of battle in a Roman Legion. Behind them came the second line of principes, older and richer men, and finally came the triarii, the most experienced warriors. “Going to the triarii” was a Roman saying that came to be used in all kinds of situations, implying that everything else had been tried and found wanting. 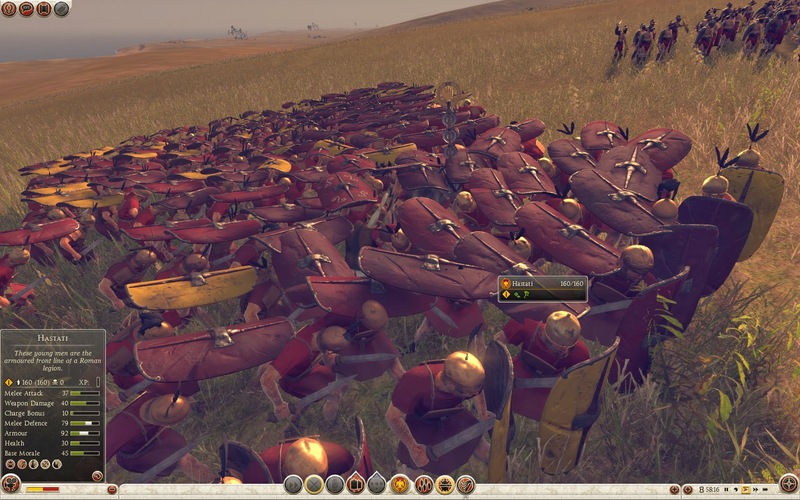 The troops of this unit raise their shields above their heads in a defensive formation. This unit does not suffer a morale penalty when the general dies. It can also rally after routing more often. The unit will try to stay in formation when in melee.